After using the HP 4520s for a few weeks, I would wholeheartedly recommend this notebook to someone who wanted a computer for basic business tasks and some watching video and even light gaming, video and photo editing. It is powerful enough for all of the things I normally do with a notebook, including document creation/editing, presentations, web surfing, and watching movies. I also do some basic video and photo editing and it worked well for that too. It is not as portable as smaller notebooks, so you will want to remember that this is not a tool for a real road warrior who needs something lighter with longer battery life. If you put your notebook on a desk and occasionally take it with you, then you will be happy with the 4520s. If you are constantly working on the go, then look for something smaller with a longer battery life. The ProBook 4520s is a sturdy, stylish business laptop that performs well at work or on the go. 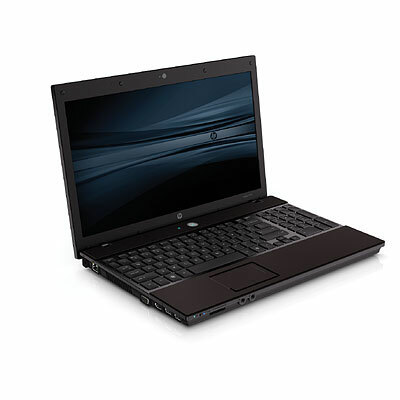 The HP ProBook 4520s offers many improvements from the previous Core 2 Duo-based 4510s. The metal exterior cladding improves looks over the older plastic finish and gives the body a stronger feel. Inside, the brushed metal surface is used above and below the keyboard. Another change is the Synaptics ClickPad which offers a spacious flush-mount touch surface at the expense of integrating the left and right mouse buttons. Looks are improved but in use we found the all-in-one touchpad surface to cause problems with resting fingers on the touchpad surface over the buttons. Overall the 4520s brings huge improvements in the looks department from the older model with equally big performance increases with the new 2010 Intel Core processors. The Intel Core i5 processor in the 4520s performed very well in our tests, offering improvements of more than 30% over the previous model. If you are in the market for a small-business rig the ProBook 4520s is worth checking out, but spring for the larger battery if you plan on traveling. As a business laptop the HP ProBook 4520s is a breath of fresh air in terms of looks and design. The ProBook 4520s comes with a very useful set of proprietary software, especially for data security - an essential requirement for a self-respecting business laptop. If you want a stylish business laptop which offers mainstream performance and has useful software and services, you can't go wrong with the HP ProBook 4520s. The HP ProBook 4520s is definitely better than the ProBook 4410s and sells for Rs. 45,200. For its business laptop billing, it is a breath of fresh air in terms of looks and design. The ProBook 4520s comes with a very useful set of proprietary software, especially for data security -- an essential requirement for a self-respecting business laptop. If you want a stylish business laptop which offers mainstream performance and has useful software and services, you can't go wrong with the HP ProBook 4520s.